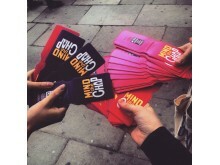 To mark Men’s Health Week 2017 while recognising that, on average, 12 men a day die by suicide in the UK, the Campaign Against Living Miserably (CALM) will hand out limited-edition ‘Mind The Chap’ Oyster Card holders at 12 London tube and rail stations during the morning and evening rush hours of June 14. 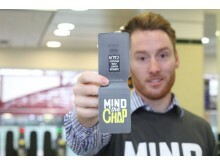 Additional Oyster Card holders will also be distributed at Canary Wharf station on Thursday June 15 and Friday June 16. 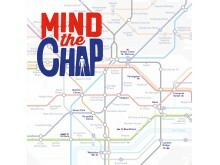 With support from Topman, Octopus Investments, Dennis Publishing and The App Business, the 2017 Mind The Chap campaign lands in the middle of Men’s Health Week (June 12-18, 2017) and is targeting thousands of commuters with the slogan ‘Mind The Chap’ to serve as a reminder that men are three times more likely than women to die by suicide. Founded in 2006, the Campaign Against Living Miserably (CALM) is an award-winning charity dedicated to preventing male suicide. We do this by providing support services for men who are down or in crisis, and campaigning for culture change to tackle outdated stereotypes of masculinity that prevent men seeking support. CALM’s helpline and webchat are open daily 5pm-midnight and are free, confidential and anonymous https://www.thecalmzone.net/get-help. Londoners urged to mind the chap in the times of the mens health week. Representatives from six leading men’s fitness businesses around the sector met at the 2nd international Congress on men’s health in Vienna, Austria in 2002 and resolved to work collectively to launch global guys’s fitness Week (IMHW). The goal is to growth awareness of male health troubles on a worldwide level. You have successfully hacked the Roblox platform by using Roblox hack tool. Restart the Roblox app and then, get the free and most premium Roblox experience. Spotting and stopping guys’s fitness issues isn't always just a man’s difficulty.